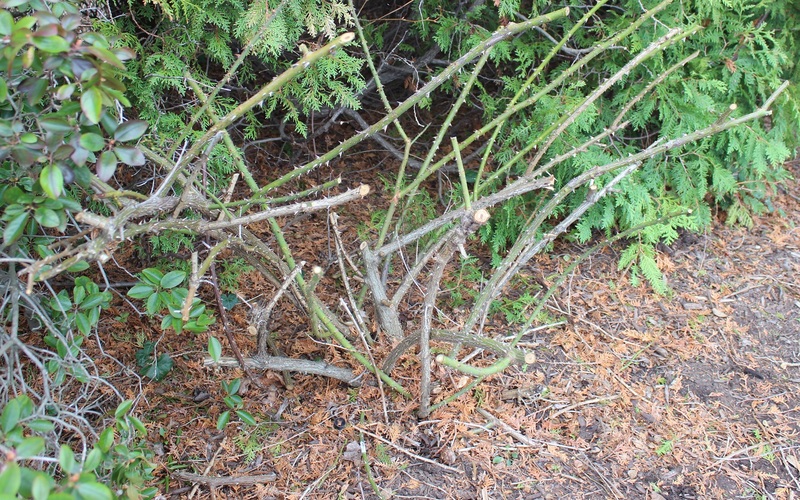 A while back, I mentioned I had watched some Youtube videos about pruning roses. 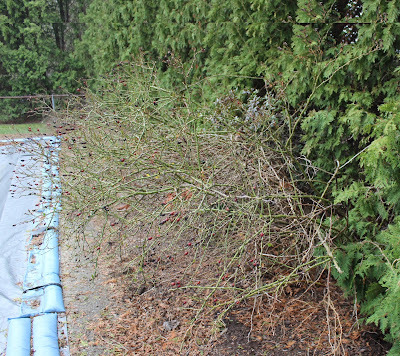 The guy said to do it when the forsythia started to bloom. Well, that day arrived and I said to myself, "Time to get to work. 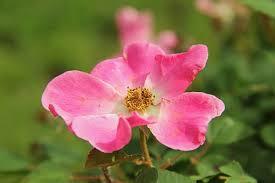 But take a look above at the rosebush before I started hacking at it. (And by the way, on the left side, behind all those canes with BIG THORNS is a tiny rhododendron that had practically been choked out.) You can tell by the daffodils that this rose bush was BIG. 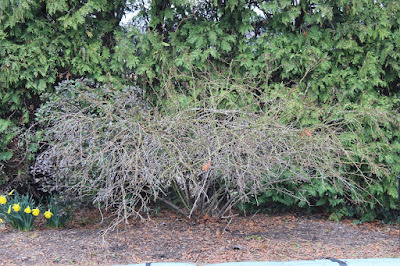 In fact, some of the canes (the ones in back) were longer than 6 feet. I must admit, I was pretty intimidated by MONSTER ROSE. But, I have a heavy-duty pair of leather gloves, pruning sheers, loppers, and two empty garbage cans to put the upcoming mess. 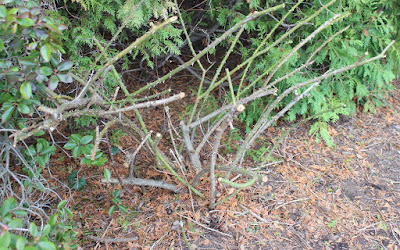 I started our with the pruning sheers, but in twenty minutes had barely made a dent in the plant--and my back was starting to hurt. I abandoned them and went straight for the loppers. Now I was making some progress. I they were actually a lot easier to use, I could maneuver chunks of the canes into the trash can and cut them into much smaller bits. After about an hour, Mr. L came outside to see the progress. "Aren't you finished YET?" Nope, but I was getting cold. I had on a jacket, but no hat. Mr. L went back inside and brought me out my hat. Back to work. In all, it took 90 minutes to prune Mr. Rosebush. 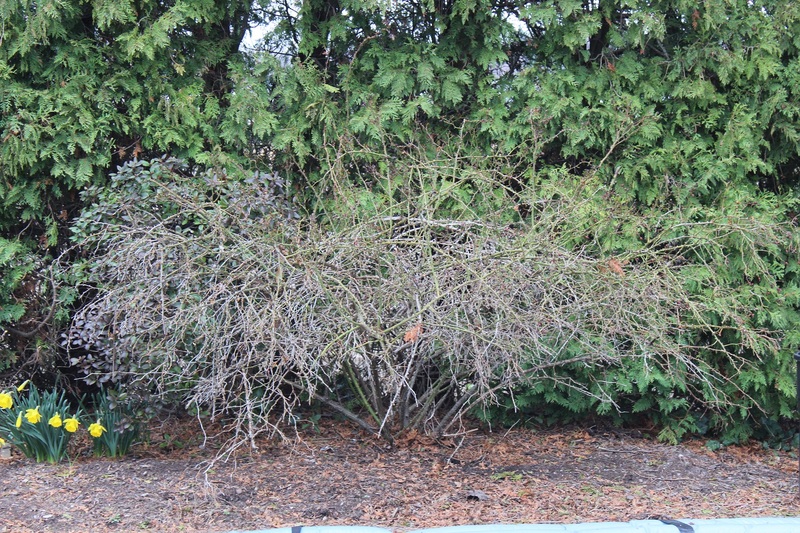 The guy in the video said you should prune them back to between 12 and 18 inches. I didn't measure how tall the canes now stand, but I'd say they're in the 18-24 inch range. Now it will be safe for my niece and my neighbor's kids to walk around the pool without getting scratched. And according to the video guy (well, more than one, and not just men), the rose should be saying, "Whew! Glad I got a haircut. Now my roots can better support what's left." I've done more raking, and am eager for the weather to improve so that I can plant my milkweed seeds (which have arrived--they have to sit in a wet paper towel in the fridge for up to a month to sprout--who knew!) and the gladiola bulbs--about a month before they can go in the ground. I know many of you in warmer climates are already enjoying your gardens. Why not share what's growing right now?